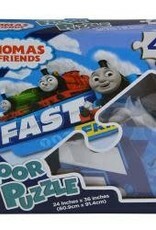 Thomas the Train Floor Puzzle for Kids and Toddlers. Giant Thomas the Train floor puzzle -- hours of fun. 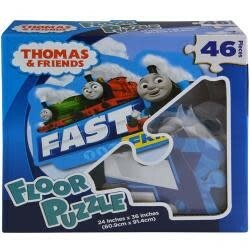 The Thomas the Train giant floor puzzle measures 3 feet by 2 feet -- big fun for little ones. Features Thomas the Train favorites including Percy and James! This Thomas the Train puzzle for toddlers and kids includes 46 large pieces and can be assembled on the floor or on a large table.